PawSox Heavy: Jose Mijares has Manny-like issues. Everybody loves a left-handed reliever, and the PawSox have got themselves a new one - Jon Switzer! PSYCH! It's really Jose Mijares, who will join Rich Hill on the RI lefty contingent. IN MY BEDROOM! And in Florida, because they've both been invited to spring training. And I haven't. I should practice reportering. If Mijares isn't put on the roster after ST, he can split the band and do whatever he wants and see whoever he chooses. Mijares comes to us from the SF Giants org, which means he'll likely have an uncomfortable conversation with Scott Cousins. Hug it out, bros. Although it's possible Mijares never much cared for Posey anyway? Baseball is complicated. 2. 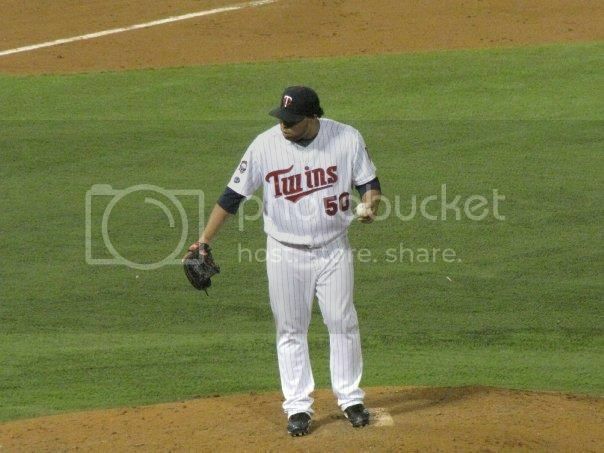 "In 2013, Mijares pitched to the tune of a 4.22 ERA but had a 3.05 FIP. His strikeout rate was very good, his walk rate was mediocre, and he didn't give up many home runs. But Mijares gave up 12.3 hits per nine innings with a .410 batting average on balls in play against, both of which were among the very worst in baseball but are out of line with his career numbers, which are much better." - The Mets maybe wanted a slice of Mijares' pie. 3. "I like Javier Lopez, so I'm not going to question his contract, even if Mijares is almost certainly the better value for a team that would use him normally. Not going to lie, though, I'm not exactly distraught. Funny how those memories start chewing on your logic gland." - Mijares was the victim of a SFG roster spot. Javier Lopez probably smells better, anyway. 4. NO JOKE, FOLKS: PHOTOS PROVE MIJARES IS SAD, FAT. 5. "According to Mijares, police were suspicious about some hair gel in his luggage." - Jose Mijares - Diva? 6. In 2009, Delmon Young and Jose Mijares were teammates on the Twins. Jeremy Bonderman hit Young with a pitch and it really hurt and Delmon Young got up and started yelling at Mijares and they almost fought and somehow Orlando Cabrera was involved. What did I tell you about baseball being complicated? I remember when Mijares's name was J.C. Romero, and then a couple of years later he turned into Juan (Walk) Rincon. You could always start yelling at your television screen when they were 2-0 on the count as you knew the best thing for the Twins at that point was for them to fake an injury and get themselves out of the game. It was kind of like watching Billy Gardner continually march out Ron Davis in 1984. His excuse was there was no one else to put in, but after blowing save after save, wouldn't it behoove you to at least try a Lenny Whitehouse, Pete Filson, or Rick Lysander? They actually had a chance to catch the Royals that year. That is kind of how I feel every time Mijares starts an inning with less than a four run lead anymore - ignore the lefty-lefty rule and put in your best pitcher at the moment. I'm going to go compile a list of fat people who played for the PawSox.